WIN 2 TICKETS TO THE ALL IRELAND FINAL ON THE 21ST SEPT 2014. Saint Eunan's College are raffling 2 tickets to the All Ireland Final. Students & Committee Members will be selling lines for the draw, Price €2 per line or 3 lines for €5. If you can support the college in this endeavor, be that by selling lines via a business, door to door or in association with the committee members at 9 30 pm on Saturday evening, please contact Catherine on 0868306154 or reply by facebook message. The Seller's Prize is a Donegal Jersey signed by some of the team. All money will go directly into St Eunan's College Sports Fund which we hope will be instrumental in preparing player's of the future. The very best of luck to both the minor & senior teams especially our 5 minor players, past pupils & members of Staff. World Book Day is recognised by over 100 countries around the world. It was celebrated on 6th March 2014 and its purpose is to encourage reading and a love of books in children. Saint Eunan’s College Parents’ Association are asking anyone who has books suitable for boys aged 12-18, that they no longer need to drop them into the College. We hope to have a number of drop boxes in place elsewhere in town. Here are a few ideas of books that may be suitable to donate - Animal Farm, Great Expectations, Wilderness, Lord of the Flies, The Call of the Wind, The Hunger Games Collections, Harry Potter, The Hobbit, Flight of the Doves, Gone, Percy Jackson, I am Number 4, Private Peaceful, Northern Lights, Artemis Fowl....if in doubt please donate your books & if they're not suitable for the college library we'll pass them on to a charity. If you are interested in any aspect of literacy in St Eunan’s you can contact the Parents Association by e-mail parents@sainteunans.com. The Parent’s Association are running an on-line competition on their Facebook page “Parents Saint Eunans” Just leave a comment on - the first book that made an impact on you and & there's a €25 Sprint Voucher for the best response. Don't forget to like & share the Facebook page. "I can't imagine a man really enjoying a book and reading it only once" CS Lewis So began my love of books.” The Lion, The Witch and The Wardrobe" still conjures up memories of being captivated by the idea of the secret portal into a fantastical world of wonder. The best way to advance the literary skills of our students in St Eunan's is through reading. We are already running the Key Word and “Drop Everything and Read” "D.E.A.R “programmes. Now, due to the generous help and commitment of our Parents Association, we are asking the public to donate age appropriate novels to help in our literacy drive. I believe the right book is out there for all our students and this in turn will inspire further reading. Remember "it doesn't matter if you prefer reading James Joyce or "James and the Giant Peach” Those who read more, read better." My dad and I are both big into reading books, dad always says “the book is better than the movie you know!” and in most cases (I hate to say it…) he is right! My first memories of books are my dad reading to me at night as I tried to get to sleep, I suppose I was about 3 years old so I couldn’t read myself. 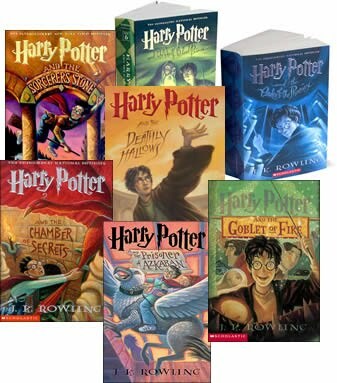 At that time I loved the Harry Potter books and once I could read myself, dad was made redundant! My dad and I both love Fantasy books and he usually lets me read them first before giving them to him. That system works well for us because I read them much faster than him! My favourite author is a guy called David Gemmell from England but unfortunately he died in 2006 I think, so there are no more books to come from him. I love reading books as it is a good escape from other things (especially in Junior Cert year!) and I find it a great help at school for both my spelling and vocabulary. So I am going to ask my dad a few questions about books to see how he came to be an avid reader. Matthew: What was the first book that made an impact on you? Matthew: So, who is your favourite author? Paul: There are so many to choose from – JK Rowling’s Harry Potter books are amazing. When you look at the first Harry Potter book, how small it is and seemingly simple and you think “it’s a kids book” and maybe The Philosophers Stone is, but as the Harry Potter story progresses through The Chamber of Secrets and onto The Prisoner of Azkaban, the series has really become something for people of all ages – but of course the books are WAY better than the films! (except maybe the first one!). I also really like Joseph Delaney, who despite the name is actually English. He wrote a series of books called the Spooks books and it is currently being made into a movie called Seventh Son. I am not hopeful that the film will match the books but you never know! There were 13 books in the series which has now finished but there are more adventures on the way for Tom Ward in a new series so both Matthew and I are looking forward to that. I also enjoyed a series of books by Irish author Michael Scott based on the Immortal Nicholas Flamel (who is also mentioned in the first Harry Potter), the Percy Jackson books by Rick Riordan were also very good and I like Dan Brown’s writing too, but if I had to pick, I would probably go along with Matthew and say David Gemmell. Matthew: Why are books important to you? Paul: From a young age I have always found books to be a great way to fire the imagination and to escape from your everyday life for a while. Like with a great film, you have to be able to suspend your disbelief and become immersed in the book and the characters. Usually you read a book before it becomes a film, so you have an idea in your head what the characters look like but that might be totally different to how someone else sees it – it’s all open to interpretation. When I was at school (in St. Eunan’s College) we had an English teacher, Mr. Rabbitte and he would have us write an essay most weeks in 1st and 2nd year and I loved doing that essay because you could let your imagination run wild…. It was always my favourite homework. I don’t know if that helped fuel my love of reading or if my reading made me love doing the writing, but I know that they go very well hand in hand with each other, so thank you Mr. Rabbitte! When you (Matthew) were small you couldn’t wait to get into bed to hear the latest adventures of Harry Potter, things like that make reading special and we are both big into sport as well so I think it’s great when you can have more than one thing in common with your kids, especially as they get older and into Secondary school. I am currently the PRO for both St. Eunan’s GAA club and the Ulster Senior League and I have no doubt that reading has helped me along the way to doing the work involved with my roles with both organisations. Reading is very beneficial for grammar, spelling, sentence structure, punctuation etc. etc. I would encourage every child to find a book that interests them and go from there….you never know where it might lead you… you might even end up on the winning team of the Parents Association table quiz with Mr. Darby! Can you remember the first book you read that had an impact on you? The Hardy Boys Mystery Stories by H Franklin W Dixon. I also read a lot of Enid Blyton books. I was into war books and read lots of war comics like Commando which was based on incidents from World War 1 and 2.I think reading really fuelled my imagination and helped with writing. It gave me a love for English. A good story can be very powerful. What books or authors do you like? Books of recent time, I would say Leon YUris. His most famous book is “Exodus” about the founding of the State of Israel. It is an historical novel. I also read “Trinity” by YUris. It is set in Donegal and Derry and deals with the issues of freedom, justice and truth. “The Shadow of his Wings” is the biography of Gereon Goldmann. He was a young German man drafted into the German army and transferred to the SS. Gereon sent a protest directly to Heinrich Himmler about the brutal treatment of Catholic Recruits. In the book he describes his experiences of Nazism and the way god impacted in his life. There were many miraculous coincidences. I wouldn’t say that I’m an avid reader of books but certainly there have been books that have made an impact on me. Why are books important to you? I would say that reading is important to me, it helps me to relax. I do like reading articles on the Internet but they can have distractions which lead you off in another direction. Books are more focused. I would say reading helps me think better, life can be so hectic. On the internet I tend to skim things. I think books help us utilise our imagination, makes things slow down also. There's something personal about losing yourself in a book, a feeling of satisfaction. I have to say I do really enjoy reading news on the internet. I try to get widely based news views online, not just from the main sites. I try to not take news at face value and attempt to source from different perspectives. I also like checking comments and blogs to see peoples' conscience on topics. I really like seeing the history behind things as well. Donal: What was the first book that made an impact on you and why? 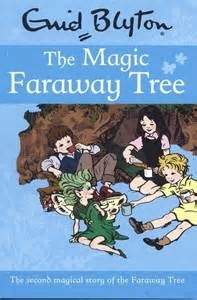 Dara: The very first book I can remember making an impact on me was The Enchanted Woods and The Faraway Tree by Enid Blyton at the age of about 6. I think I enjoyed it because it allowed an escape to the many different worlds at the top of The Faraway Tree with Moonface and The Saucepan Man. After that, as I “matured” The Adventures of Nancy Drew and The Hardy Boys became firm favourites for a while. In my teenage years I remember being impressed with Roots by Alex Haley, The World According to Garp by John Irving, Wuthering Heights by Emily Bronte. Donal: Who is your favourite author? Dara: I don’t tend to have favourite authors as I like variety in books and so would read many different authors from many different literary genres. I particularly enjoy biographies and autobiographies as they provide an interesting insight into someone else’s world and sometimes open your eyes to a new perspective on life. I also enjoy books, fictional or otherwise, based in intriguing places such as India and Africa. Recently the books which have made an impression on me have been, A Fine Balance by Rohinton Mistry, set in Bombay, India. Another very interesting read was ‘Cutting for Stone’, by Abraham Verghese, set in Ethiopia. Donal: Why are books important to you? Dara: Books are important to me because I feel I can learn so much about people, cultures and places helping to broaden my mind and horizons and shape my ideas and opinions. I have helped to set up a Book Club in our local area. This has been a great venture and I would recommend it to both young and old-er, as it encourages us to read books we might otherwise avoid and gives us a forum to discuss it with others. Furthermore our Book Club gives us neighbours an excuse to get together for a chat, mainly about books but sometimes other topics crop up as well! Books are important in our family as we have nurtured a love of books in the children by reading to them from a very young age and then as they have grown older, by buying books they love as gifts, by getting them involved in the library, and by encouraging them to discuss books with each other and with us. I would encourage every parent to read to their children long before they can talk or walk – they will thank you for it. I remember getting “Charlie and the Chocolate Factory” as a present aged 7. Roald Dahl was my favourite author, I read all his books. He had vivid colour and comedic characters, great stories, children were celebrated… and their victories over adults. One book was “The Van” by Roddy Doyle. He wrote his first novels while working as a secondary school teacher. In terms of style the books were very dialogue driven. He really captures the language and the humour of North Dublin and Ireland as well. “The Van” is the third instalment of the Barrytown trilogy. It tells the story of the Rabitte family, set in North Dublin in late eighties early nineties. I love the humour of it and the books went on to be hugely successful films. The Barrytown Trilogy gives a very accurate portrayal of family life. These books depict an area in Ireland were the economy is very bad, but it's somewhere where people find outlets to escape through. The people in those books experience what we are economically. I preferred the books to the films, they were better. The “Commitments” was the best of the films. I don't read as much fiction as I should. “Into the Wild” by Jon Krakauer was a recent book I really enjoyed, it’s the story of a man Christopher Mc Candless who had a troubled family life. He left home wanting to live in the wild. He was very bright, aged 19/20. He didn't want to conform to the expectations society put on him. The author could empathise with the character because he had gone through similar experiences. I think he realised that he should have spent time with the people who love him. He felt society was too materialistic. McCandless wanted to see if he could live a minimalistic life. He reads lots of books. Overall it's a sad story, very thoughtful. I can empathise with characters in books that I am reading but I don't visualise myself within the characters skin the way some people do. In this book I definitely feel for the characters. I'm doing “The Great Gatsby” with some of my classes at the moment. The author knows exactly his subject matter. It is very well researched and F. Scott Fitzgerald understood the people he was trying to portray. People can definitely feel empathy for the characters. Even though it was written in 1925, it's still very relevant. People and relationships are very much the same. On one of the Mock Exam Papers there was a question on books vs. iPads. There are no distractions with books. I do read electronic books. Distractions do exist with some of the electronic reading devices, your focus can be drawn away where as books captivate you. At the same time an electronic reader allows you to have the texts of thousands of books on one tablet – your own library. Reading allows you to have discussions with people, and broaden knowledge. It helps you concentrate on things too. 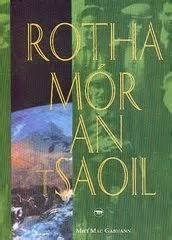 Yes, ‘Rotha Mór an tSaoil’ by Micí MacGabhann. What impressed me was how the character dealt with the tough times that he had on his journey in the coffin ships that set sail from Derry to America. I was interested in all the escapades he encountered on his way to the Klondike. To be honest, I haven’t read a lot of books in my life but one book that really meant something to me in my life was a book of poems by Seamus Heaney that I was given in my twenties. There was one poem in particular in the book in which I could identify with. That poem was ‘Mid-Term Break.’ Heaney had told a real life story about his 4 year old brother who was killed in a road accident. I could empathise with Heaney here as I myself had a brother who died at the age of 3 in a road accident, which would be fifty years ago this July. The ending of the poem is what hit me most because I was respectful of Heaney’s sentiments. Heaney was able to describe his younger brother in his coffin as if in his cot, he could see the poppy bruise on his left temple. This was obviously a traumatic experience for Heaney but he was able to say goodbye to his brother in a way which I couldn’t. At the time that my younger brother died, children weren’t allowed to attend the wake or see the open coffin, so I was never fully able to say goodbye the way I would have liked. But Heaney was able to give me an insight into what it might have been like, if I could have. That is why it meant so much to me. I was also very impressed by a local book on Dr. McGinley, written by his son Niall McGinley, who was my former secondary school teacher of English and Irish. I have to say I loved that book as the author described the life and times of his late father perfectly. They are important to me because I feel that the books that I have read made a huge impact on my life, in particular the books that I studied on psychology, during my time as a student psychiatric nurse. They were beneficial to me in the sense that I was able to cope better with the mechanisms of life and with neurosis and psychosis. Interview by Gabriel P. Blake. Reading has always been an important part of my family’s life. From a very young age we were encouraged to read. I think for many people born in the technological age, reading is seen more as a chore than something that can be used to fire the imagination. I’m pretty lucky in that I cannot remember a time that we went on holiday and did not buy a book, whether it was rain, sun or wind one of us would always be reading (if we could find some peace and quiet). I think reading should be encouraged more in schools, it’s important to access new books and to be given the chance to read or discover something that you might not have realised that you would enjoy. I read many of Robert Muchamore’s novels in first and second year when Ms. Russell loaned out books from the school library and took us to the public library in town. I also find books a useful tool in improving my vocabulary and it can also help with spelling. A book that I personally felt helped me have an interest in law is the “Theodore Boone” series which is about a young teenager who hopes to pursue a future career as a lawyer or judge. I found it very enjoyable. Here are a few questions I asked my mum. Michael: What was the first book that made a big impact on your life? I read a puffin book called “The Gift” aged about 8, I remember thinking that it was too “old” for me because the print was so small but I got such a buzz out of it because I managed to read it and because it was a great story about a boy with telepathic powers. I also loved illustrated books. I loved the drawings of Shirley Hughes which I first knew through the “My Naughty Little Sister” books by Dorothy Edwards. I bought a lot of her books for my children “Dogger”, “The Big Concrete Lorry” and “Alfie”. I have her autobiography “A Life Drawing” which is illustrated with many of her own drawings. The first book that made a big impact on me was J.D Salinger’s “The Catcher in the Rye”. My cousin Aidan leant it to me I think I must have been 12 or 13, I had his copy so long, I kept it & bought him a new one. In fact I still have that copy and every so often take it out for a re-read. I just really like the character of Holden Caulfield; he’s probably my favourite character ever. People say that Catcher in the Rye is a rites of passage novel because Holden is so full of teenage angst but I think it’s possibly more than that because I like the book now just as much as I did when I was a teenager. I think it’s the voice of Holden, he’s funny and sarcastic and he has his own rational. When I was older I discovered that Catcher in the Rye is famous for having been banned, censored and is also a big favourite with conspiracy theorists. Mark Chapman who shot John Lennon was apparently carrying a copy when he was arrested for the murder and Mel Gibson’s character in the movie “Conspiracy Theory” believes Catcher in the Rye is on a list of books, the sales of which are watched by the FBI. I have actually searched if there is a book which explains the basis of this but I guess the internet might be the best place for conspiracy theory research. Michael: Who is your favourite author? I can’t say that I have a favourite author. I am a book junkie and if I find a book I like I very often read that authors back catalogue. I still read books in paper form but I read a lot on kindle and I really like that I can pre-order new books by authors that I have read. 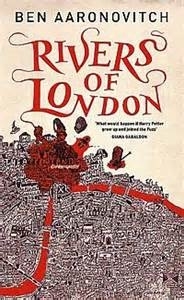 Ben Aaronovitch springs to mind, he was on Simon Mayo’s Radio 2 Book Club List in 2011. I don’t listen to the programme but I’m always looking at book lists and recommendations. I have read a lot of kindle bargains over the last few years but tend to find that some of the free books are very poor both in content and editing. I discovered Charlaine Harris a few years back pre the True Blood TV Series. Sookie Stackhouse was the first character to really jump of the page at me in a long time, I also enjoyed her “Lily Bard” and “Aurora Teagarden” Mysteries I have just finished reading “The Goldfinch” by Donna Tartt and “12 Years a Slave” by Solomon Northup on kindle. I have a paper copy of “The Artistic Ape: Three Million Years of Art” by Desmond Morris which I am reading in between novels. Michael: Why are books important to you? I just love the escapism of books. Reading is really my favourite past time and I can’t say I’m at all discerning, I’ll read pretty much anything. My parents both like books but have different tastes, I like what they both read so we do a bit of swapping around although reading on kindle has hampered that a bit. I love book shops and I love taking my kids to book shops. I really enjoy helping them find books that they are interested in. My husband wasn’t that interested in books when I met him first but I think that there’s a book for everyone. He loves flying and I often buy him aviation books for Christmas and his birthday. I’ve even read a few of those. I read on holidays, I read when I travel, I read if I’m having lunch on my own, I read in the car when I’m waiting to pick my kids up, I nearly always have a book to hand and almost always read before I go to sleep.